I'm a big, big fan of historical fiction, and I've read hundreds of books set in the early twentieth century and the eighteenth and nineteenth centuries. Lately I've been digging recent YA books that delve into historical settings that are a little closer to now. Like Eleanor & Park (1980's), for instance, or even The Miseducation of Cameron Post (early 1990's). 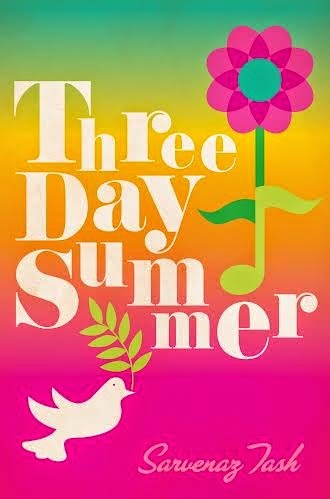 Three Day Summer by Sarvnaz Tash goes to the 1960's and Woodstock, and it's out next Tuesday! "Boy meets girl...at the most amazing concert the world has ever seen. When Michael and Cora meet, sparks fly, hearts race, and all the things songs are written about come true. And all the while, three days of the most epic summer await them..."
Check out this awesome playlist that Sarvenaz put together! 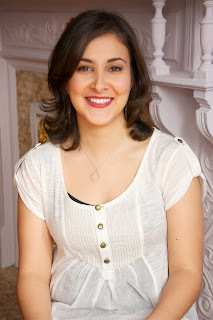 Sarvenaz Tash was born in Tehran, Iran, and grew up on Long Island, NY. She received her BFA in Film and Television from New York University’s Tisch School of the Arts. She has dabbled in all sorts of writing including screenwriting, copywriting, and professional tweeting. Sarvenaz currently lives in Brooklyn, NY. For more information, visit: sarvenaztash.com. Thanks to the generosity of the publisher, I'm giving away one copy of Three Day Summer! enter below to win!